To begin with the story, CEC Greatwall, a subsidiary of China Electronics Corporation (CEC), has been Satcon’s manufacturing partner since 2009. Despite the sudden financial crisis, GreatWall completed the acquisition of Satcon’s intellectual property and assets in 2013. SIC, with its outstanding sales performance and great reputation in the Taiwan market, successfully signed with GreatWall a contract that authorized SIC to be the exclusive distributor for Satcon. To provide local and instant support for customers in North America, SIC has founded its subsidiary, SIC USA LLC., in San Jose, California, USA and launched sales activities on the market from the end of 2013. The new Satcon along with its North American sales & service partner SIC USA, provides Satcon across North America, Taiwan and Europe. SIC USA provides the critical pre and post sales support to Satcon customers that can include technical system design and integration consultation, site assessment, system engineering, financial evaluation and modeling services and comprehensive O&M including spare parts and replenishment, that can be tailored to the specific needs of each customer to optimize cost and overall system performance. 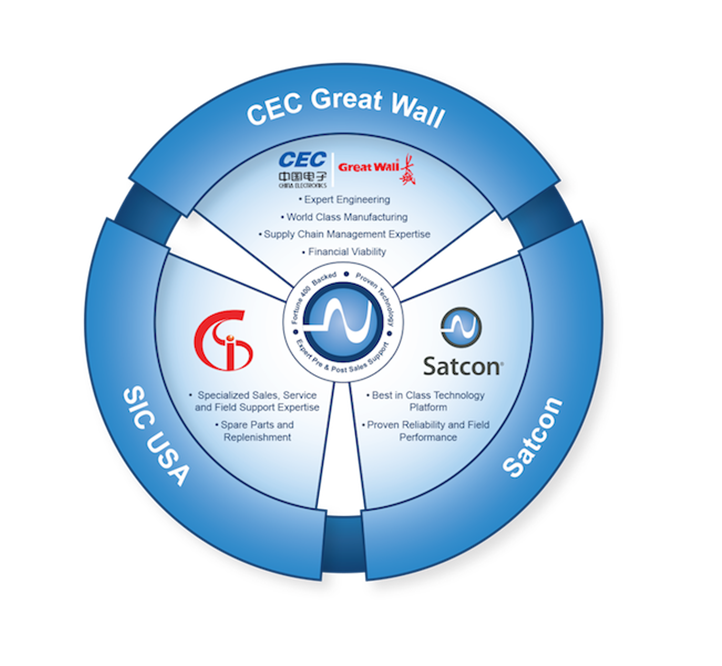 The strategic partnership among Satcon, Great Wall Energy, a subsidiary of CEC, and SIC USA allows for continuous solution innovation, consistent high quality and reliability, and competitive costs that will ensure Satcon’s products keep thriving in the future.